Hwang Hee-Chan one of the stars for South Korea during their recent gold medal at the Asian Games is off to Hamburg in Germany. The player joined the German Bundesliga 2 side on a season loan from Red Bull Salzburg. This is being said to be the best transfer of the summer in the German second tier. I think few would argue with that after seeing him impress for his country over the last few weeks. Although Hamburg plays in the German second tier they are one of the big names in football around Europe. Despite this, however, they were relegated from the Bundesliga for the first time in their history in May. How did the Hwang Hee-Chan move happen? The club clearly would have liked him on a better deal as they said: “We would have loved to have a [loan-to-buy option], but that simply wasn’t possible”. They still have to pay for his services as part of the loan deal however, they will pay a €1 million to Salzburg for the rest of the season – a sum that will significantly decrease depending on the number of games Hwang plays for Hamburg this season. We will see how the player gets on as he is expected to start for his new side after the international break when they play Heidenheim on the 15th September. It is expected he will take the place of Jairo Sampeiro as the Spanish player picked up a long-term injury. This will now be a new challenge for the 22-year-old but the Korean is no stranger to a challenge. The attacker moved at 18-years-old from Pohang Steelers to FC Liefering in Austria. A year later he was transferred to RB Salzburg. In the last three seasons, he has played in 59 Austrian Bundesliga matches, picked up 17 goals and won the league three times. Hwang has also featured in the Champions League qualifying and Europa League games. In 2017, he won Asia’s ‘Best Young player’ award. He also featured for his country in this year’s World Cup in Russia, playing in all three games, including their win against Germany. 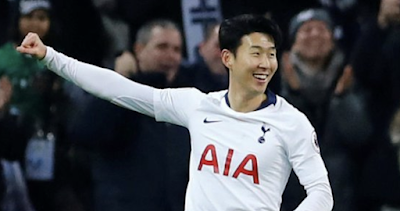 His new club clearly is excited with the signing and showed their support to Hwang this week as they tweeted praising him on his Asian Games gold medal and goal in the final.